The famous “Pearl” in Shanghai, the symbol of the city, at night. The cosmopolitan mix of Chinese and English origins is the soul of Shanghai. Its traditional shikumen houses, blending the European design with the Chinese style has awarded it with the title of the richest collections of Art Deco buildings on the globe. With its gigantic departmental stores and modish buildings, Shanghai is an impressive metropolis with flourishing tourism. 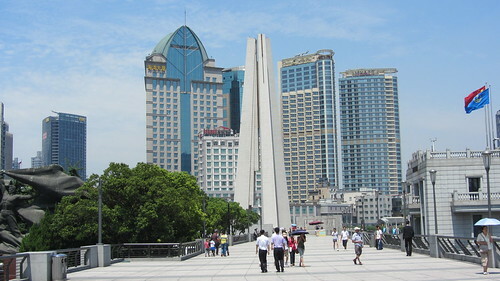 The municipality of Shanghai encompasses a large area of the mediocre and compact sized city. 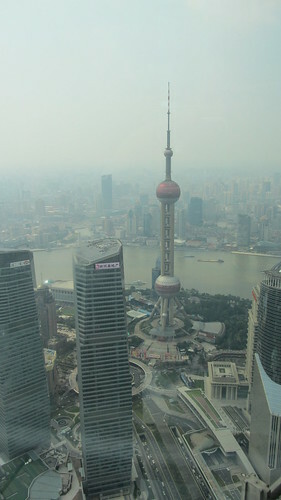 The Shanghai city centre is divided by the serpentine Huangpu River, resulting in two prominent regions – Pudong and Puxi. Although Shanghai as a village has existed centuries ago during the reign of the Song Dynasty, yet it ascended to eminence only in 1842 when China was defeated in the First Opium War. Under the treaty Ports, Shanghai was amongst the five cities that were allowed open their harbours for conducting trade with eight nations- Austria-Hungary, France, Germany, Italy, Japan, Russia, United Kingdom and United States. In Shanghai these countries received dispensation as the Chinese law were not applied in the city. 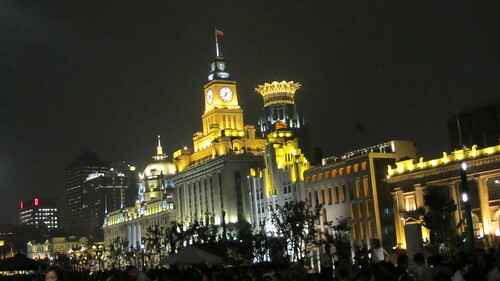 The Bund, at night on HuangPu river. Between1920-1930, Shanghai attained its zenith as the most affluent city in East Asia. It was conquered in 1937 by the Japanese after winning a fierce battle. The humble beginnings of 1990s catapulted the government of Shanghai launched new strategies to catch the fancy of foreign investors. The best move was to introduce the rural area of Pudong to investors, and today it is the home to several global financial institutions. The cosmopolitan city of Shanghai has so far been successful in achieving its objective of being the top-notch economic and financial centre of China and Asia. Shanghai experiences humid subtropical weather. The temperature in summer usually soars up to 36°C with high levels of humidity. Winter temperatures hardly increase beyond 10 °C in the daytime; however, the night temperature experiences a sharp decline of 0 °C. The best seasons to visit Shanghai are during spring and autumn, i.e. September to March. The busy Puxu district of Shanghai houses the chief historic sights. 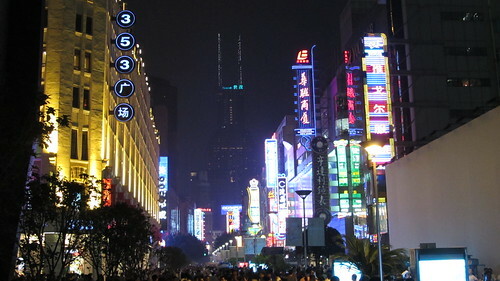 The busiest and famous shopping street in the entire nation is the Nanjing Donglu. It connects to Renmin Square – home to the Shanghai’s Grand Theatre. Nanjing street, or “Nanjing Lu” in Shanghai. The real estate business in the metropolis is simply shooting through the roof, as you will discover some of the most expensive properties across China, here. Especially in the Puxi area where exorbitant price tags on the residential property and hotels is a common sight. 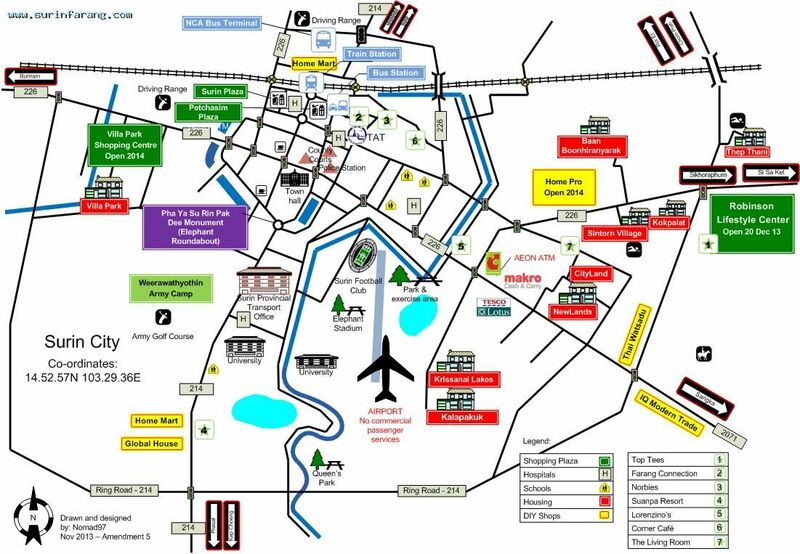 Northern area of Shanghai with French Concession and attractive shopping centres is worth considering for accommodation. Aquaria 21 Shanghai is a brand new aquarium overflowing with vibrant and interesting sea creatures and themed displays. Riverside Promenade situated alongside River Huangpu is a marvellous place to enjoy strolling because it exhibits remarkable views of the Bund area. Jinjiang Amusement Park is the most incredible park of the metropolis, and home to a gigantic wave pool and numerous speeding slides. Huangpu River Trip offers a wide array of enjoyable cruises and is certainly an appealing way to sightseeing. Dino Beach offers a complete fun for the family with fantastic loop-the-loop roller coaster and other thrilling rides. Shanghai Botanical Garden with conventional Chinese planting is a contrast to the bustling city life of Shanghai. Fuxing Park is a customary park with rose gardens, fountains, play areas and restaurants. 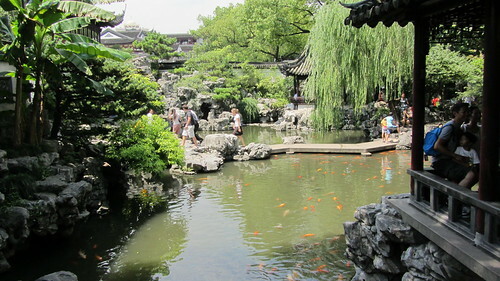 Yu Gardens is over 400 years old and features a shopping area in its proximity. Yu Garden, in Shanghai. Picture taken in 2011. Oriental Pearl TV Tower is the tallest structure in Asia and features an exhibition area on its ground level. People’s Square is an enormous public square enclosed by government buildings and dense foliage. Shanghai Library is a gigantic modern library and is amongst the world’s biggest libraries. Temple of the Town God with a central courtyard is a significant place of worship. Jinmao Tower is the tallest building of China and offers a fantastic view of Shanghai from its observation deck on the 88th floor. This is a view from the Jin Mao Tower. You can see the Oriental Pearl TV Tower in front. Cultural museums and inspiring art galleries are in abundance here. Bund Museum, Shanghai Municipal History Museum and Shanghai Art Museum are a few of the notable tourist spots. Several flamboyant cities around Shanghai always offers rich historical and cultural heritage of China.